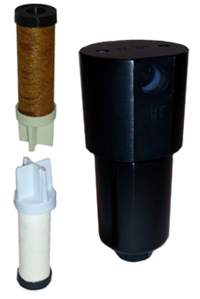 Allied Group has been offering replacement filters for the CLS 112, both for the CLS 112-6 and CLS-112-10. The CLS line of Coalescing Filter are sometimes confused with the FFC 112, which is the filter housing, not filter element. Allied offers both. The CLS 112 works to eliminate contamination for CNG powered engine components like fuel injectors, pressure reducing valves and tanks.